Network marketing is very hard to do! Few people will ever tell you that, but it is true. Yes, it’s simple. The steps to success are crystal clear, but following those steps and sticking with it until you succeed will be quite perhaps the hardest thing you’ve ever done before. But don’t be scared. No business is easy to build. And being mega-successful in ANYTHING in life requires extraordinary effort and persistence. Having spent 13+ years in the industry, I already knew that network marketing is hard to do, but Mark Yarnell really hit home with this idea in one of his YouTube videos. He talks about the challenges he overcame, the work that he put in, the amount of rejection he faced, and the perseverance he had. To be quite frank, I doubt even 1/1000th of 1% of the people in our industry would be willing to do what he did to build a big network marketing business. And that is why he was so successful and earned more than $30 million in commissions during his time in the industry! For some strange reason, people have the lottery mentality when they join our industry. They think they can sign their name to the dotted line of the distributor agreement and start making money today, even if they do nothing. I credit this to the laziness of most Americans AND the hype that many distributors use to lure people into the business. The truth is, it’s easy to get involved, but hard to succeed! You must be willing to talk to hundreds (maybe thousands) of people personally and face more rejection per day than most people face in a month, or year. You must be willing to follow through with your initial decision even after the enthusiasm fades. You must be able to visualize your goals, even when you have zero income. You must have brass balls, guts, thick skin, perseverance, mental toughness, or whatever else you want to call it. NEVER LOST SIGHT OF THEIR GOAL, even when things weren’t going their way! They knew it would be tough. They knew there was lots of work involved. They knew they would get rejected. They knew they would take three steps forward and four steps back. They knew that in the beginning they might work a year or two before they made their first dollar of profit. They knew they could build a big team and lose it at a moment’s notice. But they built their business anyway. They were visionaries and they knew that if they did what everyone else wasn’t willing to do, they would have what most people would never have: time freedom and financial freedom. My advice to you is to start doing what the top 1% do and ignore what the other 99% do. Because if you can do what they did, you will get what they got! 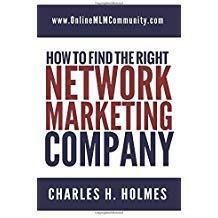 In summary, network marketing is very hard to do. Don’t think otherwise. Building a big team of distributors will be unlike anything else you’ve ever done before. You will get rejected, frustrated, tired, bored and there will be times when you want to quit. But if you can keep a close eye on your vision and stay persistent and consistent for a period of time, there is no doubt in my mind that you can be part of the top 1%. What are your thoughts? Leave a comment and let us know what you think. I look forward to hearing from you. It is refreshing to hear someone speak the hard truth about all of the work that you need to put into an MLM business in order to make anything of it. Everyone who is considering joining an MLM needs to their homework before choosing a company, and I believe that most of your posts should be required reading for those people (though some of their recruiters might not want them to). All businesses are hard work!